Mr. Bill Gates is co-chair of the Bill & Melinda Gates Foundation. Along with co-chair Melinda Gates, he shapes and approves grant making strategies, advocates for the foundation’s issues, and helps set the overall direction of the organization. Bill and Melinda Gates work together to expand opportunity to the world’s most disadvantaged people by collaborating with grantees and partners. They also participate in national and international events and travel extensively to focus attention on the issues the foundation champions. 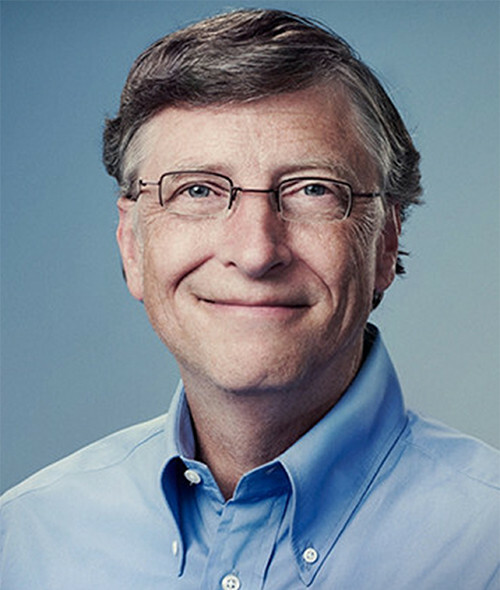 Gates began his major philanthropic efforts in 1994 when he created the William H. Gates Foundation, which focused on global health. Three years later, he and Melinda created the Gates Library Foundation, which worked to bring public access computers with Internet connections to libraries in the United States. Its name changed to the Gates Learning Foundation in 1999 to reflect its focus on ensuring that low-income minority students are prepared for college and have the means to attend. In 2000, to increase efficiency and communication, the two groups merged into the Bill & Melinda Gates Foundation. In 1975, Gates left Harvard University in his junior year to focus on Microsoft, the company he founded with his childhood friend Paul Allen. As the chief software architect and chairman, Gates led the company to become the worldwide leader in business and personal software, services, and solutions. In July 2008, Gates transitioned into a new role as chairman of Microsoft and advisor on some key development projects. Gates also founded Corbis, which is developing a comprehensive digital archive of art and photography from public and private collections around the globe. He is a member of the board of directors of Berkshire Hathaway Inc.